We wanted to support this research and educational program and to assist in sharing important information. In going through the process, we learned some new things about creating a pollinator friendly garden. Consider having your gardens certified and our communities will become so much more healthy for it! 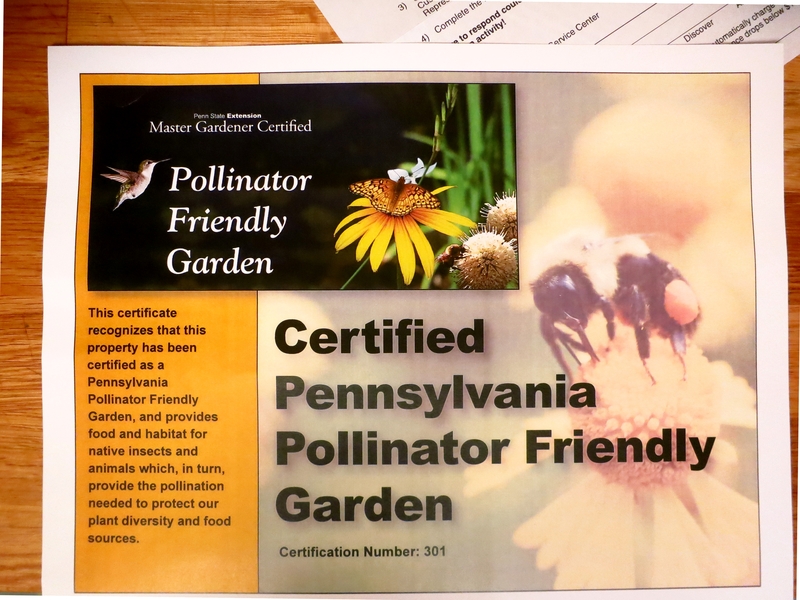 This entry was posted in Community, Organic gardening, Uncategorized and tagged penn state center for pollinator research, pollinator friendly garden, pollinators. Bookmark the permalink.